Why a Jiffy Curtain steamer? Photographers in studios often use back drops. Crease-free, attractive backdrops contribute to the quality of the photographs. The Jiffy Steamers curtain steamers will quickly restore back drops to their beautiful crease-free state. Very convenient, as no one has the time or the inclination to iron them. Jiffy steamers are the perfect device for smoothing out curtains and back drops and keeping them that way. You can steam them without taking them off the rod. The fabric fibres will remain beautiful and springy. Your curtain will always look great and appear as new. 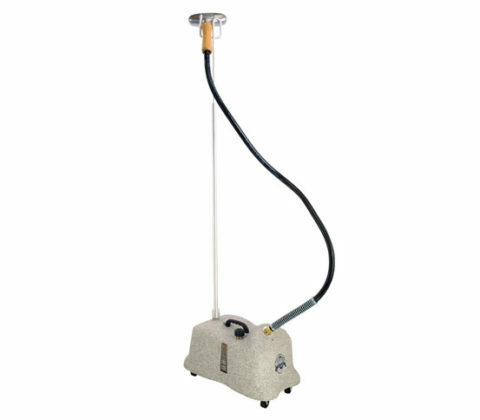 As part of our range, we can offer you 2 powerful, professional curtain steamers. They are each extremely suitable for repeated steaming of large pieces of fabric or curtains. 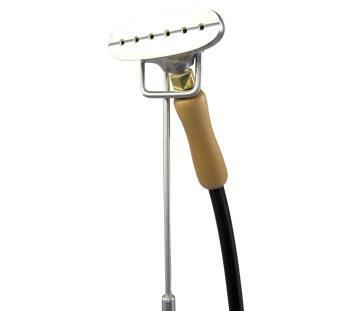 You really only need to select the steam head – would you like it to be plastic or metal? Order your preferred curtain steamer online here.